Project Purple follows volunteers on a broadcasted experience to recreate American colonization that turns deadly. What was the inspiration behind this unique idea? “Project Purple” Is about thirteen Americans who recreate the lives of the early colonials for a worldwide on-line audience. They don’t know their ordeal has been gradually, brutally altered by their organizers, and a struggle for food, shelter, and survival turn deadly as an Arctic winter approaches. The seed of this idea emerged from a conjoining of two mediums—the first being a PBS TV series called Colonial House back in 2003, and the second being an extraordinary novel about the harrowing saga of the Donner party called “The Indifferent Stars Above.” Somehow, the ordeals of these people from different centuries fused. I think “Project Purple” seeks to understand what it takes to draw on one’s inner survivor. I just started thinking: What could a writer do to give this story more adversity and more propulsion? Rigor is a detective from Las Vegas who sets out to help the volunteers. What were some driving ideals behind his character? I wove Rigor into the story to give it another layer of depth. On the surface he’s an upstanding guy. He’s initially driven by noble ideals, but as his story unfolds, we see the darkness within him, too, and that’s why he’s been selected for new “projects”. The Rhizome, the shadowy multi-national underground faction, knows his history. This novel is able to capture the history of American colonialism and modern dystopian ideals. What were some ideals you wanted to explore in this book? I guess I wanted to capture the idea that civilization is a thin veneer we lay across the bubbling magma of nature, including human nature. Occasionally, like a volcano, the magma erupts, and we fall through the crust, scratching and gouging for our lives. Then a new world order begins, with an entirely new language, and with an entirely new taxonomy: a new way of ordering and naming things in life—the Rhizome. The thirteen Americans are under the impression they’re showcasing the early seventeenth century colonial way of life for a worldwide audience; that they can teach others by reenacting “a simpler, purer time in their national experience, to the roots of the nation they are today, to the infant of America.” Of course, the Rhizome isn’t impressed by any of that. What it wants to learn from the Americans is all together different. The project I’m on now, “Assunta” is a three-part trilogy about a man who comes to believe in the divine. It’s a physical and spiritual journey from the gates of Hell to the highest portion of Heaven. The story is built on a framework of references to the great poem “The Divine Comedy” by Dante Alighieri. There are three books: Inferno, Purgatorio, and Paradiso. I’ve just finished Book 3, and will publish them in one month intervals, starting in early March with the first Book, Assunta: Inferno. After I finish the Assunta trilogy, I’m returning to sequels of The Cuckoo Colloquium —about six teens lost in the rain forest of Borneo, because the characters have so much depth and the story so much fuel remaining. I hope to have book #2 of what I’m calling the Cuckoo series out by autumn, 2019. I believe that memorable characters make memorable tales. One of my favorite writers, Samuel Becket, for example, shows us lunatics in trashcans, or characters who set themselves on fire. He had great insights into what is true, and he makes it funny. I think that’s my job, my goal—to write characters and stories that are absurd, violent, childish, but that resonate with truth. Thirteen Americans volunteer for a unique three-month project to recreate America’s early colonial experience for a worldwide on-line audience. The colonists have been deceived. They don’t know their ordeal has been gradually, brutally, altered by their organizers, and a genuine struggle for food, shelter and survival turns deadly as an Arctic winter approaches. Is there some point to this insanity? The besieged Americans (including a police detective who throws his world away to rescue a colonist he knows only as the Goatwench) must find the primal survivor within themselves to counter the ever-increasing violence they face—all to the attentive schooling of their multi-national audience. 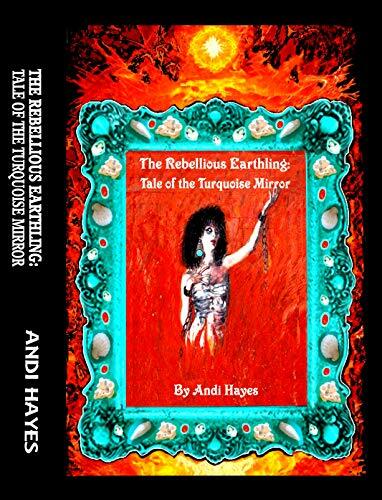 Reactive follows Lune who must compete in three deadly trials to escape the city and gain her freedom. What was the inspiration for the setup to this thrilling novel? I’ve always been a huge Hunger Games fan, and after reading the books, I couldn’t get enough of the dystopian genre! I’m a competitive person myself, so the thought of contending in high-stakes trials to earn what you most desire fascinated me. Also, based off some of my personal life experiences and being a bit claustrophobic like Lune, living a trapped life behind walls was something I wanted to explore—how it could damage the psyche and make a person quite . . . reactive. Lune is a strong and determined woman who remains focused throughout the book. What were some obstacles you felt were important to her character development? I wanted circumstances leading up to the Trials event to throw a wrench in her plans, have obstacles expose the fears and weaknesses that she tried to hide, even from herself. Since this is a trilogy, her character development is far from over, but despite the many ways she has struggled thus far, above all else, she has remained resilient in the face of adversity. How did you develop the Elite Trials while writing and what were some themes you wanted to explore in the trials? For the most part, I took inspiration from real sporting events, ones that I always thought were quite dangerous: sword fighting, boxing, horse racing, hunting big game. None of these sports are won by team effort. You have to tough it alone. The purpose of the Trials as Lune knows it is to prove that you are worthy of a better future, so working together with another contender would be considered weak. I really enjoyed exploring the concept of strength versus weakness in this book. This is book one in the Elite Trials series. Where will book two pickup and when will it be available? Adaptive, book two, will pick up right where book one leaves off! I plan for it to release summer or fall of 2019. AN INESCAPABLE CITY. THREE DEADLY TRIALS. ONE WAY OUT. of the Supreme Elite, does as she’s told. She trains for the Trials. She follows the rules. and earn Title of Choice, her only chance at freedom. shows up on her eighteenth birthday. and exposes memories she’s desperate to forget. One thing is painfully clear: he can’t be trusted. He has secrets. Big ones. And they could ruin everything. Project Purple by Michael Greco is a fictional story about thirteen Americans who agree to take part in a social experience (called Project Purple), with their every action filmed and viewed live for the entertainment of the world. The thirteen people will relive an authentic colonial life of American pilgrims (in the year 1613) for four months, with the viewers as the ‘fourteenth colonist.’ The thirteen colonists must build a colony with twelve other strangers, figuring out how to work together. One of the colonists is Henrietta Dobie, known in the colony as Goatwench. But the colonists were lied to and none of them know the truth about the real purpose of the Project. 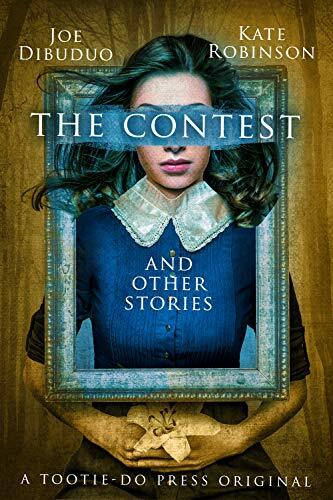 When Rigor, a detective in Las Vegas, is sent a video of the horrific circumstances Goatwench is forced to endure, he’s determined to put a stop to the Project. But the organizers of the Project will stop at nothing to reach their own ends. The premise of the book was intriguing, and the story kept my interest. I wanted to know what would happen next for the colonists–would any of them survive? It was interesting to see how human nature played out as the different characters reacted to the difficult–and then deadly–situation they found themselves in. I liked that the author told the story from the point of view of several different colonists, which gave much more insight into the individual characters. I liked the historical aspect of the story. I enjoyed reading details about the clothing, daily tasks, and customs of American colonial life. The sadistic actions of the people who created Project Purple were detestable; putting thirteen wholly unprepared people into that situation without their full knowledge and consent for the sole purpose of so-called entertainment for the viewing audience and to further the organization’s own agenda. The story started out slow, with a lot of set up about the detective’s life in Las Vegas and leading into the beginning of Project Purple. The book felt a bit disjointed, jumping back and forth in time, and jumping between the detective and the colonists. It might have improved the flow of the story if the author had started out with the colonists embarking on Project Purple, and once things started to go wrong, then the detective could have been introduced when he received the first video. In the end this is an intriguing exploration of human motivations that plumbs the depths of humanity. 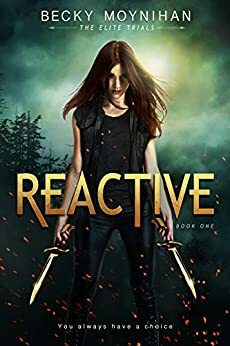 Reactive is a dystopian novel written by author Becky Moynihan. It is the first book in the Elite Trials trilogy. 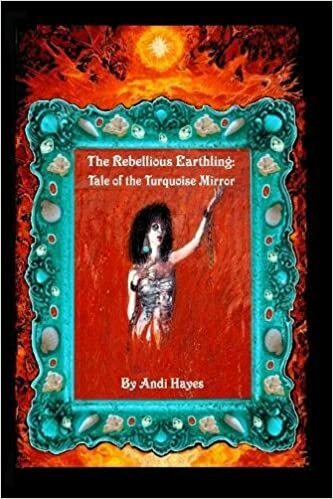 Set in Tatum city, Lune is the adopted daughter of the Supreme Elite – Renold Tatum. She longs to escape the city and regain her freedom – however the only way to do that is to win the Elite trials. She is focused and well prepared for her one chance at freedom. That is, until Brendon, a boy from her past re-enters her life – jeopardizing her only chance at freedom. I was immediately drawn into the story by Moynihan’s description of Freedom (Cleopatra) Tatum’s charger. She realistically described the powerful physical traits of the animal and her more subtle personality traits. The relationship between the charger and Tatum was also convincingly described, it was as if I was reading about a genuine relationship between a rider and horse. The description of Tatum riding her charger was realistic, and made me feel as if I were experiencing the same sense of freedom. 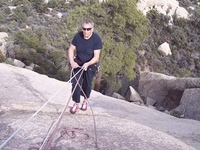 The main character – Lune Tatum is described as a strong, determined young woman. Until Bren appears in her life, we see her actions as just that. She is focused and determined to win the Elite trials. Her strength is shown through the descriptions of her training regime, and the way in which she endures the cruel punishment of her father without allowing it to break her spirit. We see she is extremely careful with whom she forms relationships with, allowing herself to have only one true friend – Asher. Lune’s world changes when Bren – a boy she encountered long ago re-appears in her life. Against her better judgement she begins to develop feelings for him. She cares about his well being and worries about him. Lune begins to lose some focus in her training, and is often ‘saved’ from situations – for example when being assaulted by fellow trainees. I felt there were too many times that Lune was ‘saved’ by Bren. If Lune was determined and skilled and had a legitimate chance at winning the trials would she have needed saving so often by Bren? Sadly, the story changed from having a strong female protagonist, to almost becoming a story of a young women being saved by a handsome man. The motto of the trials – Strength, Speed, and Precision could be woven more into the beginning of the story. This motto underpins the Elite Trials, it would reinforce this by having it appear at the start of the book, and reappearing throughout. Overall, this is a highly addictive book with interesting characters. It is impossible to put down! Extinction 6 by Hosein Kouros-Mehr is a fascinating novel that finds itself straddling a variety of themes, writing styles, and motifs. In this novel, one can witness the conjunction of several major literary genres. 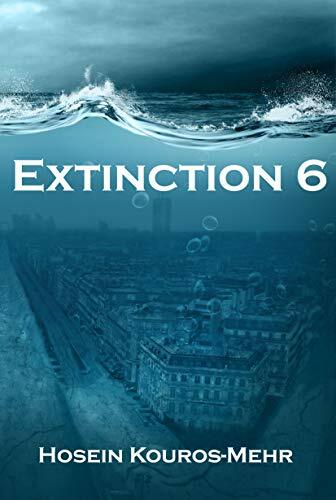 From bleak dystopian imagery and post-apocalyptic ruin to deeply intense mystery and intrigue, Extinction 6 provides enough twists and turns to keep any reader engaged. Taking place in the year 2066, the reader is introduced to a world mostly underwater. Following a sharp rise in global temperatures by an average of 8 degrees Celsius, sea levels drastically increased and major settlements like San Francisco were submerged. In conjunction, animals and plants have completely vanished. Beyond this, the world appears to be plagued by war and corporate espionage. Battles for oil fields and small scraps of territory appear to occur daily, while depressing news bulletins ring out, highlighting decreases in rations or celebrating the smallest of military victories. In this dystopian future, greenhouse gases continue to be pumped at alarming rates, and it becomes clear to some that the world is facing its sixth, and potentially last, extinction crises. Hosein Kouros-Mehr expertly uses this setting to deliver a story that is captivating and vividly written. There is a profound amount of world building conducted in this novel and the story’s framing gives readers a holistic experience at what life in this dreary world would look like. Through the use of multiple perspectives and point of views, Hosein Kouros-Mehr provides readers with an inside and personal look at the various dimensions that take place in this world. In some chapters, readers will become intimate with a forlorn lover embroiled in major geopolitical developments. Other sections masterfully showcase the experiences of an aggressive and cunning CEO. These different perspectives are woven in a way that provides keen connections and startling insights. The writing itself is suspenseful and tense. The diction wastes no time in putting the reader through long segments of empty description and word padding. Every sentence is deliberate and has a definite sense of immediacy. Every word counts in a world that is slowly ticking towards oblivion. This is aided by Hosein Kouros-Mehr’s wonderful sense of pacing. While the writing is forward facing, it still gives readers the time to engross themselves in the world. Details about the major corporations and the nations that inhabit this world are peppered in where needed and helps to provide depth to the world. Many of these elements come into play throughout the course of the novel, and the pace in which these details become relevant greatly benefits Kouros-Mehr’s deliberate writing style. If there is any issue in the way in which Hosein Kouros-Mehr presents his work, it is the fact that the large cast of characters can lead to some confusion. This is somewhat alleviated by the clear characterization and literary role each character plays, and as a whole, this critique does not detract from the novel. Extinction 6 by Hosein Kouros-Mehr is an incredibly tense story about what our future could easily look like. 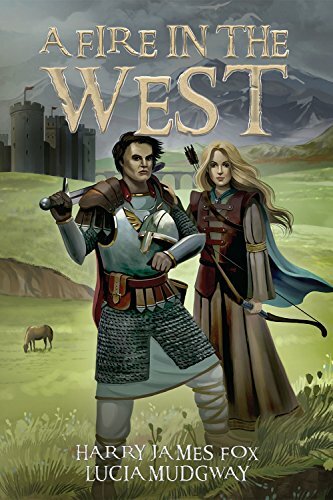 A Fire in the West is a genre-crossing novel with elements of fantasy, science fiction, and inspirational fiction as well. Did you start writing with this in mind, or did this happen organically as you were writing? Harry James Fox: I agree that the novel steps all over the genre boundaries. Some have insisted that the books in the Stonegate series are really Dystopian or Action/Adventure with elements of Romance. My only defense is that I wrote stores that I enjoy reading. I suppose I wanted a novel that explored a collapse of civilization that would later lead up to the events described in the Bible in the Book of Revelation. But I decided not to write about the final Armageddon. These novels might be thought of as a prelude, however. I tried to make a believable society that could reasonably have developed a few generations after the beginning of a new dark age. I was not concerned with fitting within conventional genres, so it must have happened organically. 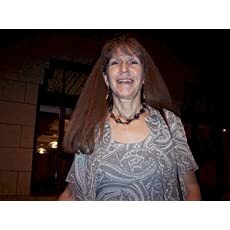 Lucia Mudgway: It was actually Harry James Fox’s idea about this trilogy in the first place. Harry masterminded the plot and story-line as well as outlining the major characters and the map of the area and the names of the towns, and and I helped create and develop it as well as adding some new characters into the mix. 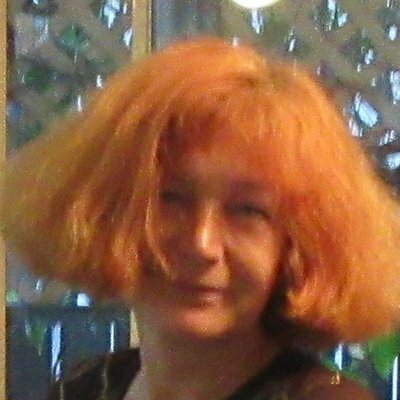 Basically, my writing was inspired by my faith and my knowledge of history from my undergraduate studies at University where I completed a Bachelor of Arts/Humanities degree majoring in Creative Writing and History. I am currently completing a Masters of Divinity degree after completing a Grad Dip in Creative Writing last year. A lot of my ideas did happen as I was writing, and it often felt as if there was an external spiritual force working with me. Harry James Fox: The characters from the earlier books were old friends, such as Donald and Rachel. But the character that I liked the best was Arielle (“Ari”). She has a big heart and finds the strength to face adversity and emerge the stronger for it. I like her level head and her courage. I do find that I need some help in developing female characters, but my co-author, Lucia, was helpful in making her believable. Lucia Mudgway: My favorite character was Robbie as he reminded me a little of the prodigal son whose defiance led him into dangerous waters where his faith was tested after doubting God and backsliding. I also loved the evil False Prophet as he reminds us that we are living in a world of spiritual darkness today from leaders who are not always interested in looking after the people, but where self interest and power are what motivates them. I guess I have a fondness for the false prophet because I helped create him with Harry. I found some inspiration for his character in Ephesians 6:12 which states, “For we wrestle not against flesh and blood, but against principalities, against powers, against the rulers of the darkness of the world, against spiritual wickedness in high places.” It was evil that ruled the mind and soul of the False Prophet, so I would recommend reading the three books of the trilogy to get a better picture of how despicable the False Prophet really is. The second book, “The False Prophet” reveals his character more fully. You both have written a fascinating novel. What was the collaboration like between the two of you on this book? Harry James Fox: Lucia helped a great deal with the second novel of the series, and she actually wrote a novella based on the characters in the first book in the series. I then expanded this novella into a full-length novel. But I decided that the third novel would be one where we both were co-authors from the beginning. I was very pleased with the partnership. I probably would have procrastinated, but she helped keep me focused. I rather specialized in all things military, and she was the creative idea person that created an intriguing plot. It all went quite smoothly. Lucia Mudgway: The collaboration between Harry and myself was pretty amazing and we work really well together, bouncing off each other for ideas. I am definitely interested in working with Harry in the future on other books, but at this present time I am trying to complete a novel I started years ago called “The Isis Factor”, which is a fictional thriller/romance inspired by facts and some true events. 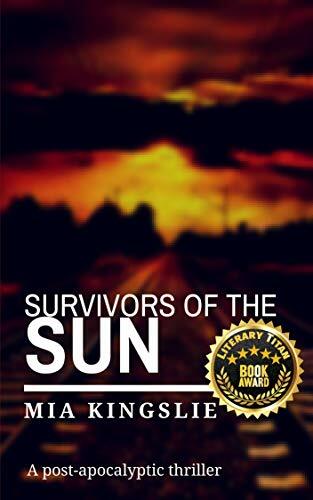 This story is set in England where the major protagonist, Nick Flanagan, an MI6 agent, is caught up in a world of terrorist activity from terrorists buying arsenal supposedly from the Russians for military training camps in Afghanistan. I am hoping to complete this in 6 months and have it published soon after completion. Harry James Fox: I always have several projects at different stages of incubation. I am considering reworking some unpublished material and creating a novella, a prequel to the Stonegate trilogy. I imagine it will be published in 2019. I am a former intelligence officer and definitely have an interest in Lucia’s book “The Isis Factor.” I have volunteered to help with some technical details. From author Harry James Fox, and co-author, Lucia Mudgway, comes an epic Christian fantasy, third in the Stonegate saga. In this gripping finale, Donald of Fisher and Rachel of Westerly as well as Carla and other favorite characters return to face another attempt by the evil False Prophet to overwhelm the free towns of the East. However, this tale centers around Donald and Rachel’s son, Robby, as he confronts all of his demons— his forbidden love for Ari, his cousin, and his conflicts with his father, Donald. Ari, Carla’s daughter, also finds herself in the heat of battle and is tested as she had never imagined. Family secrets emerge amid the threat of war, but courage, duty, and love become more important than ever. Will the False Prophet finally succeed in stamping out freedom, or will good finally triumph over evil? Will Robby find redemption for his decisions, and will the shocking truth about his past set him free to be with Ari?